A Check-Up On Hussain—See How He’s Doing! We were getting a little worried. Remedy Mission XII was almost over, but we still hadn’t seen Hussain. We call children from previous missions back to the hospital for a post-operative echo screening, but Hussain’s father wasn’t answering his phone. Having grown especially close to them, we wanted a chance to check in on Hussain and his family. Then, on the last day, they finally arrived! 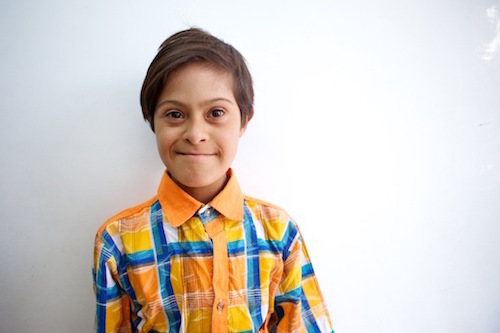 Hussain’s father bought him a new shirt and gave him a comb for the occasion, and it made him look so grown up. Just a few minutes after exchanging hugs, Hussain was removing his fancy new shirt so the doctor could check on his heart. He climbed up on the table and laid down automatically; this wasn’t his first echo screening. And—I’m excited to report—that it will be his last echo screening for quite awhile because his heart is doing well! And that gift of normalcy came from you—you helped send him back to school and back into games with his friends. Thanks to you, his heart is healthy. It’s normal. So, on behalf of Hussain’s father and mother: thank you for saving him! P.S. Did you miss any of Hussain’s story? See a summary of his story HERE!